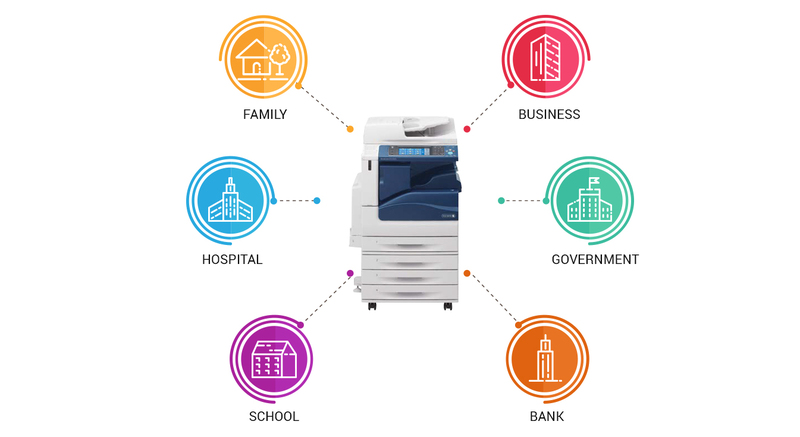 If you are in search of the best photocopy machine & multifunction printers for business, then service is always our top concern in Docu Solution besides providing the best photocopy machine & multifunction printers for business. With decades of experience in the copier industry, we believe in professional of product knowledge to meet our customer’s requirement. By covering most of the popular brands including Fuji Xerox, Xerox, Canon, Konica Minolta, Ricoh as well as Rowe with various models. Be it photocopy machine or printer, every product we carry comes with an assurance of quality, versatility and reliability as we acknowledge the fact that photocopy machine or printers are of the utmost importance in the modern world of business. With Docu Solution, you are assured of getting the right machine that is perfect caters to your business applications as well as your budget. Over the years, we have successfully supplied a wide array of photocopiers and multifunction printers for diverse industries such as corporates, banking industries, schools, SMEs and many mores. Apart from providing the best photocopy machine & multifunction printers for business, we also aim to maintain high standards of customer service level. By having a customer-centric philosophy in mind, we are fully committed to provide comprehensive after sales services and technical assistance as per needs of our customers. We provide well-trained technicians to assure you peace of mind as we guarantee fast response time during our business hours. Our company provides a dedicated team of personnel, who have decades of experience to resolve any problems. Our experience service team are always ready to attend our customers’ queries, offering necessary technical support to fulfil every request in a prompt and effective manner and to ensure all machines are in high performance. At Docu Solution, we stand behind our work and guarantee your satisfaction is always our principle because service is our business, perfection is our goal. We guarantee fast response time during our business hours to solve your machine problem.